Most Dental Professionals are approached by insurance agents and financial advisors to purchase individual disability income insurance early on in their careers, and rightfully so. This product purchase is the cornerstone of a financial plan because it protects the most valuable asset the professional owns ­the ability to work and earn a living in a specific occupation. Our financial lives revolve around our ability to earn a living, so no other insurance product could be considered more important to a professional and their family. The decision to purchase this coverage is a relatively simple one, but comparing contract language and sales jargon is anything but simple when the term “Own Occupation” is thrown around as loosely as it is today. Many agents go as far as to deceptively describe plans as “Occupationally Specific” to make their clients think they’re purchasing true “Own Occupation” coverage, when in fact they’re not. Technically speaking, most disability insurers in the market today offer “Own Occupation” coverage, but the contract language from one plan to the other is really very different. I wrote a detailed article in 2002 that details virtually every nuance in the definitions of “Total Disability” in today’ s product offerings where this all important language resides in a policy. The purpose of this article is to compare the significant difference that owning a true “Own occupation” plan vs. a modified “Own Occupation” plan can make during a real claim. True “Own Occupation” definitions of “Total Disability” say that the insured will be considered totally disabled if, due to sickness or injury, they cannot perform the material and substantial duties of their regular occupation. This means that the General Dentist or Dental Specialist will be deemed totally disabled if they cannot work in their regular occupation, regardless of whether or not they choose to move on after the disability and work in another gainful occupation. This simply means that they can work elsewhere if they become totally disabled in their regular occupation and keep the new income in addition to their full disability income benefits. Like most ambitious people, these professionals would likely pursue some sort of alternative career if they lost the ability to practice. They could teach at a University program, open a consulting practice for Dentists and Specialists, open a practice acquisition firm, or even learn to tell their own story and market disability insurance to their colleagues. Many disabled dental professionals have pursued these verycareers – and many have been very successful. After he suffers a back injury and is forced to retire from Dentistry, he pursues a career in consulting and earns an annual taxable income of $80,000 (approximately $5300 net after taxes). In this example, the Dentist is now suffering an earnings loss of $70,000 or 47%. To calculate the benefit payable, take the maximum monthly benefit in the policy and multiply it by 470/0. This would calculate to $3150 per month. So the disabled Dentist is now taking home about $8,450 per month in total income even though they’re working full time ($5300 in earned after tax income plus the $3150 in disability benefits). Before they became disabled, they were taking home about $10,000 per month after taxes. In this example, the true “Own Occupation” plan would not offset against the new income and would pay the full $6700 monthly benefit. The disabled Dentist would now be taking home about $12,000 in income to support his or her family. That’s an extra $3550 per month – tax free! What’s worse is that as the disabled dentist becomes more successful and grows their new business, the income from the disability policy will completely disappear. Once the earnings from the new occupation reach 80% of the pre-disability level, benefits stop all together. So, a totally disabled Dentist or Specialist could be forced to endure a full 20% drop in income and receive no benefits from the company at all. In my opinion, the point in owning a true “Own Occupation” plan is not to be “greedy” as some agents suggest, but rather to compensate the disabled Dentist or Specialist for losing their ability to work in a very specialized occupation. Think about it for a minute: How much money and time did you invest in preparing for your career as a Dentist or Specialist? How much future income growth would you give up if you became totally disabled as a Dental professional? Shouldn’t you be entitled to a full disability insurance benefit if you’re sick or injured to the point where you have to quit the profession you love and sell your business, regardless of what other occupation you decide to pursue? In my opinion, many insurance agents forget the most important part of the equation when pushing the “modified” plans: Policies only replace 50% to 60% of gross taxable income to begin with. The likelihood of success in a new career for any ambitious person is high, but definitely not guaranteed. Dentists and Specialists make very nice incomes, and in order to “make yourself whole” for your family’s sake, you need to be able to find a way to replace 100% of your pre-disability earnings. Modified “Own Occupation” contracts make that difficult to accomplish. You and your family deserve better, and you can still find the “real deal” in disability insurance as a Dental professional. David Richards is a financial advisor and has specialized in disability insurance for Dental professionals since 1993. “CNA’s dental recovery program is unique to the competition in many ways,” explained Dr.
CNA’s Property Large Loss Organization, began work on the dental recovery program. Professional Protector Plan® for Dentists. 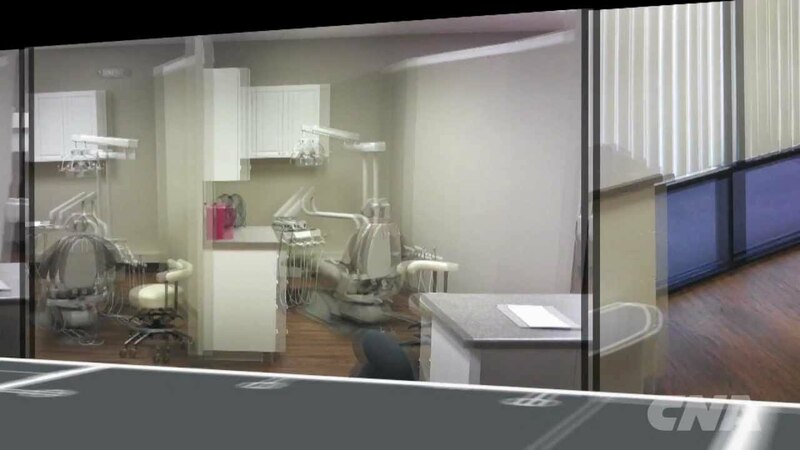 Temporary dental facilities and services provided by CNA HealthPro and Professional Protector Plan® for dentists may help restore dental offices within 30 days following a disaster. Every year, dental facilities experience natural disasters or manmade catastrophes that render them unable to provide services to patients. The Temporary Dental Services Program, provided through CNA HealthPro and the Professional Protection Plan® (PPP) for Dentists, assists dental offices in restoring and reopening for business within approximately 30 days following an incident. Inventory of all damaged equipment and records, including an assessment and evaluation. “In most cases, a disaster does not eliminate the patient’s need for dental attention or pre-arranged dental services. We are pleased to offer the Temporary Dental Services Program that minimizes the interruption of services for dentists and enables them to continue to put smiles on the faces of their clients,” said D. Todd Klingaman, Director – Large Loss Property, CNA. Serving businesses and professionals since 1897, CNA is the country’s seventh largest commercial insurance writer and the 13th largest property and casualty company. 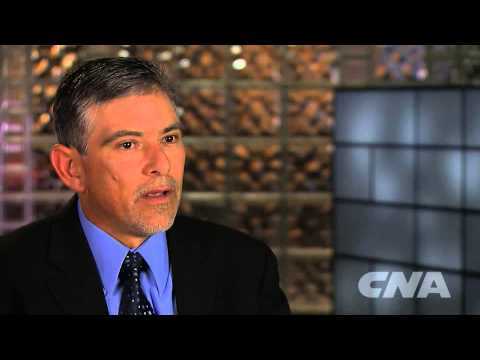 CNA’s insurance products include standard commercial lines, specialty lines, surety, marine and other property and casualty coverages. CNA’s services include risk management, information services, underwriting, risk control and claims administration. Please remember that only the relevant insurance policy can provide the actual terms, coverages, amounts, conditions and exclusions for an insured. All products may not be available in all states. CNA is registered trademark of CNA Financial Corporation. For more information, please visit CNA online. The decision of who your insurance agent is and what insurance products / services you choose to protect your business and your family may be the most important decision you make. We are dedicated to our clients and are here to advise you on all insurance coverages, risk management programs and services available to help insure your future. © 2017 Terry R. Arp & Associates. All right reserved.